Women have reached at a commendable level in the field of Entrepreneurship. They have started walking shoulder to shoulder with men. They have emerged as confident individuals who can fight all the odds and emerge as winners. 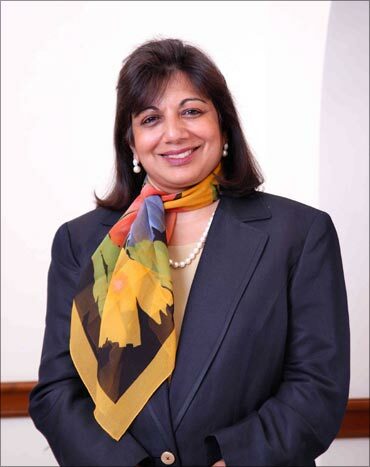 She is the current Chairman & Managing Director of Biocon Limited, a biotechnology company based in Bangalore. She finished her Bachelors in Zoology from Mount Carmel College, Bangalore University. She later did her post-graduation in Malting and Brewing from Ballarat College, Melbourne University. She worked as a trainee maker in Carlton and United Breweries, Melbourne and as a trainee maltster at Barrett Brothers and Burston, Australia. She began Biocon in 1978 and spearheaded its evolution from professional enzymes manufacturing business to an entirely integrated bio-pharmaceutical company. Today Biocon under Shaw’s leadership has established itself as a respected player in biomedicine industry with an emphasis on diabetes and oncology. 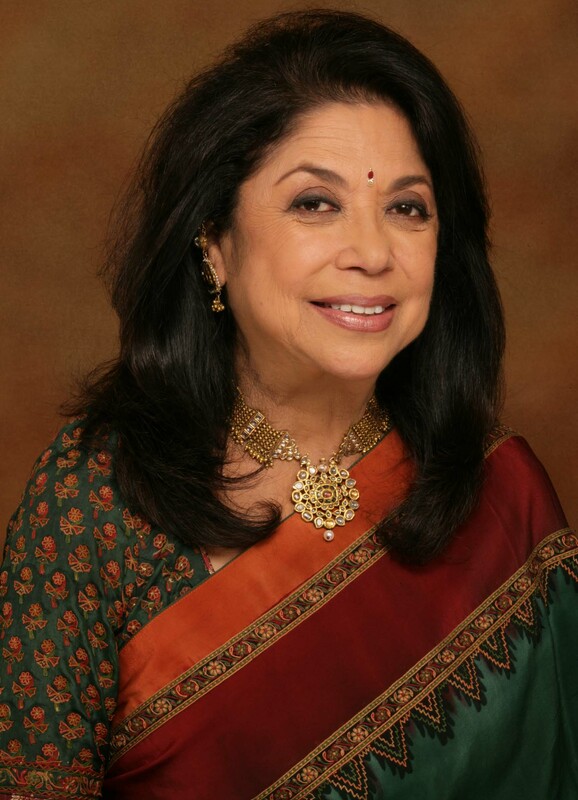 Ritu Kumar is one of the biggest names in Indian fashion industry. She has carved a niche for herself in designing a variety of wardrobes including swimwear, eveningwear, traditional Indian wear, casual wear and formal evening gowns. She has the distinction of designing costumes of three winning Miss India’s. She is currently the CEO of Shahnaz Herbals Inc.
Shahnaz Hussain is the biggest name in herbal cosmetics industry in India. She has introduced a number of trend setting herbal products. 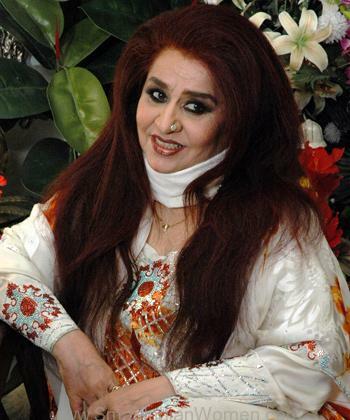 Currently, the Shahnaz Husain Group has over 400 franchise clinics across the world covering over 138 countries. Her pioneering work got recognition from Govt of India when she was conferred with prestigious Padma Shri award in 2006. She is the Founder & Executive Director of JobCorp. Ravina Raj Kohli is an international media veteran with an experience of 24 years spanning across television and radio broadcasting, advertising, filming and journalism. Ravina is also Indian television’s first woman CEO. She has earned a Diploma from the London School of Journalism, as well as a Bachelor’s Degree in Psychology, Economics and Literature from Bangalore University. She is the Founder and Mentor of the VLCC, India’s leading slimming, beauty and fitness brand, and one with seven outlets in Abu Dhabi, Dubai and Sharjah. There are VLCC slimming, beauty and fitness centres in Muscat and Bahrain as well. 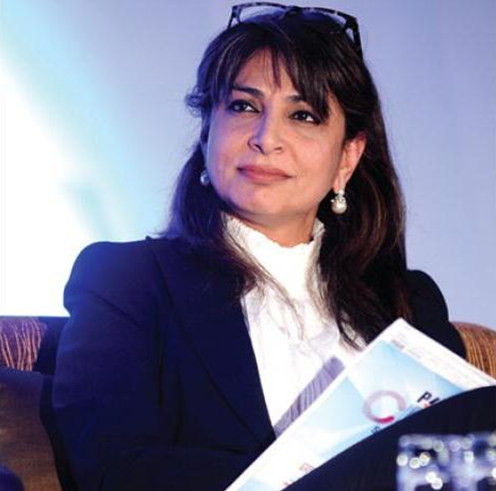 The largest number of VLCC centres is in Ms. Luthra’s native India – 150 of them in 75 cities. She facilitates professional development through her vocational training school, the VLCC Institute of Beauty, Health & Management, which currently has 43 campuses in 35 cities. Do you think there are more inspiring Indian women entrepreneurs running successful companies? Share with us. FIFA World Cup 2014 has left us with a lot of memories. So what did you learn from this World Cup? Never blame others for your shortcomings. Apparently, in a couple of matches this season, some losing team members were found complaining about the nationality of the referees. How about just accepting your faults and moving on with a vision to work on your mistakes? Blaming the referee for the nation he comes from is just an excuse to cover your mistakes. Be happy about your victory, but don’t make your competitor feel unhappy. Consoling and appreciating their efforts will always lead to a healthy competition and maintain a good relationship. Remember what happened when Brazil won over Colombia? 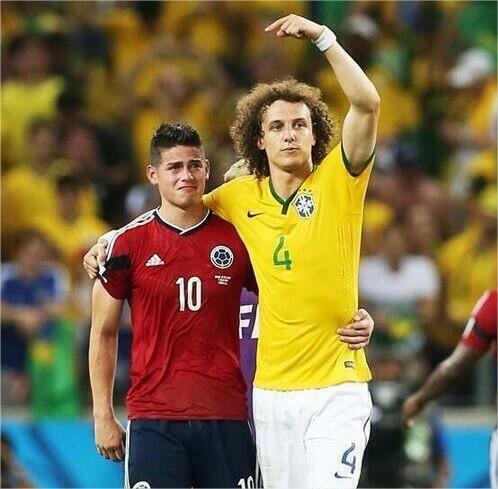 Brazilian David Luiz consoled young striker James Rodriguez from Colombia, and asked the audience to applaud him. Never underestimate team work. To get on top as an individual while working in a team might be a win for you but not for your team. When in a team, work with the team. 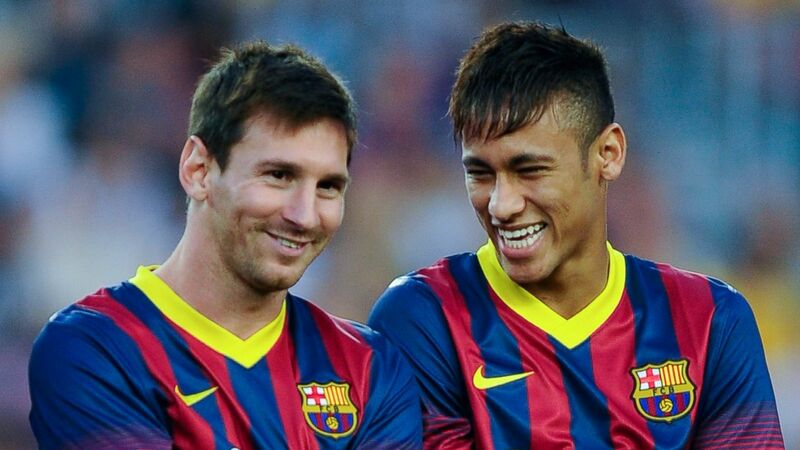 For instance, Neymar’s injury cost Brazil the world cup. It seems like Messi won as an individual, but Argentina lost as a team. Brazil being a strong team lost to Germany. Only if they had learnt from the mistakes, they might have possibly won their next match against the Netherlands. Meanwhile, Argentina analyzed the mistakes made by Brazil and bucked up for their final match against Germany. Though they lost, it was a close one. If you are focused towards your goal, nothing can stop you. Coming up with problems that are not meant to be will lead to disgracing yourself and the society from where you come from. FIFA has seen many players in the past faking injuries and blaming referees for no reasons. This has only resulted to lower self esteem. Tasting success today doesn’t mean you’ll be fed with it each day. You will have to struggle to stay on the top. Success comes to those who work hard for it. By hard we mean really hard. It took Germany 14 long years to prove themselves as a team with great co-ordination. It is important for you to sell your vision and mission well. A good explanation will lead to acceptance. All the concerns should be addressed and questions need to have satisfactory answers. 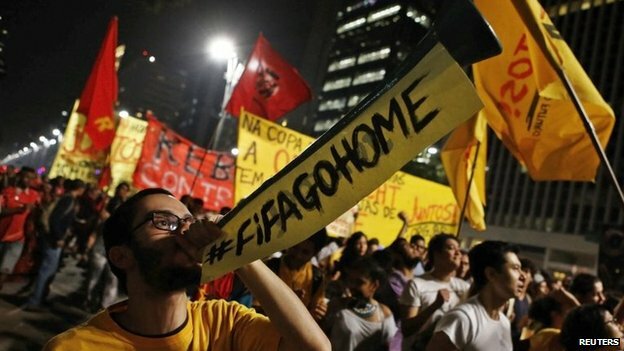 For instance, a criticism was raised on Brazil for hosting the largest sports tournament in the world. How can a country with so much poverty host such an expensive event? It was taken into account that Brazil was the only country with a surplus budget previous year. Apart from this, the government said that the developmental impetus for construction workers, the exposure for the local residents, and the atmosphere it creates are immeasurable. If you lose, doesn’t mean you are out. Stay cheerful and enjoy watching others play their part. Life doesn’t come to an end if you are out of the game. Neymar suffered injury and couldn’t play anymore. His dream to play the world cup came down crashing. But he was sport enough to still enjoy the game. He cheered in support of Argentina & Messi for the finals. Next time, while watching a sport, view it with a leadership perspective & observe the hidden wonders it teaches. On June 23, an interview of Dinesh Awasthi, Director at EDI, got published in the Financial Express. Established in 1983, the Entrepreneurship Development Institute of India (EDI)—in Gandhinagar, Gujarat—is an autonomous body and not-for-profit institution, and is sponsored by apex financial institutions, namely IDBI Bank, IFCI, ICICI and the State Bank of India. EDI is registered under the Societies Registration Act 1860 and the Public Trust Act 1950. How have the past few years been for entrepreneurs? The past few years have been very encouraging. Until 1991, the economy was stifled because of restrictions, quotas, permits and red-tapism. Innovative and creative entrepreneurship was the casualty of crony capitalism. However, after the liberalisation, privatisation and globalisation which encouraged free flow of capital goods and services, India started becoming a global market. Until 2000, it was a period of adjustments and restructuring, but post 2000 there has been a growth period. The advent of IT substantially improved India’s image. This led to knowledge-driven technologies such as biotechnology and nanotechnology. As government started opening up to ideas, an ecosystem has been created to encourage individuals to come up with innovative products. What are your views on rural entrepreneurship? Today you cannot ignore the rural market. Rural growth has been higher than the urban growth and because of that, rural demands have gone up. For every company, rural penetration is a priority. For an entrepreneur, there are possibilities at every stage of supply chain. The government has also started focusing on food processing industries and there are very high possibilities for the same in the rural sector. Today there are better roads, better connectivity and more means of transport which leads to growth in the services sector in rural areas. How do you see growth in social entrepreneurship? Social entrepreneurship is an emerging sector. It has been only 5-7 years since it came up. There are a lot of NGOs which work solely on grant basis. Once the grant is over, the work also stops and hence it is not a sustainable model. 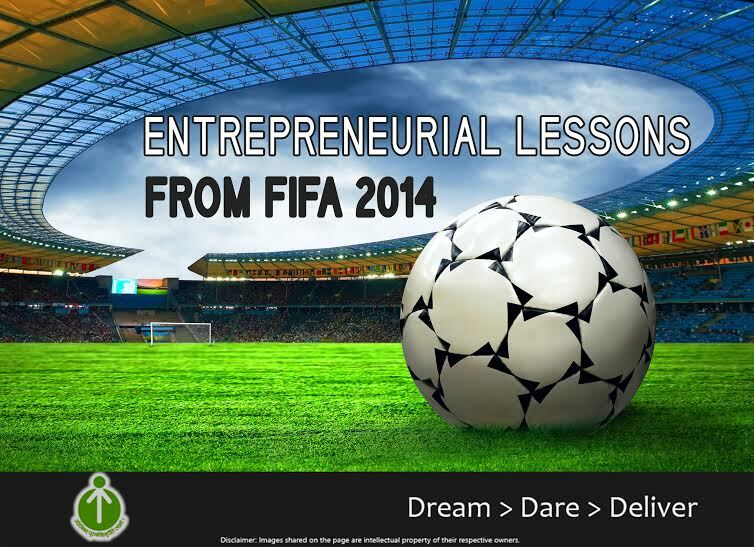 But, over time, entrepreneurs have realised that there are unmet demands in the market. On a global level, there is unmet, under-met and under-served demand of about 4 billion people, or 12 trillion dollars. There is a huge scope if people are willing to look at it as a profitable market. Teach for India has been a great example of the same. It led to quality teachers and teaching quality improved at a relatively low cost. We are contemplating projects in Assam to electrify 100 villages which are out of reach of regular transmission lines. The idea is to create local power supply system which is managed by people to supply electricity to the villages. There is also a project from the Department of Science & Technology that addresses concerns of non-conventional sources of energy, food processing and bamboo projects in the North-East. We want to create 500 medium-scale industries in the North-East in the next five years. What has been the success ratio of start-ups in India? It is estimated that 40% of the start-ups fail in the first 1,000 days of starting. India success ratio more or less mimics the global standards. In India, about 60-70% of the start-ups manage to stay afloat and are doing well. What are the challenges faced by the entrepreneurs? Most start-ups are started by people with science or engineering backgrounds. People here are in love with their idea and think they have a miracle with them. They tend to ignore the market demand. Lack of proper assessment of market is the biggest challenge they have. The second challenge is finance. But for ideas which have potential, money is not a problem. More than procuring money, managing money is the problem. If the market is there and the idea is viable, finance follows. The challenge is to make optimum use of finance. The third challenge is to find the right resources. When you are starting out, you are not in a position to pay well, but you will need a better team to showcase yourself as a brand. This is where the next challenge comes in. Who will be on the board? Who will be your mentor? Who are the people to guide you? You need a team which is good enough to create a brand. What are your expectations from the new government? Prime Minister Narendra Modi has created a new ministry—the ministry of entrepreneurship—which I think is a commendable step. For the first time space has been created for entrepreneurship and we are looking forward to working closely with them. The primary thing on their agenda should be to create an entrepreneurship policy to create an ecosystem. Putting together a policy and a systematic movement is the first step in building a healthy, cohesive ecosystem. I hope the government is more open and encouraging. But I am hopeful as Modi is a business-friendly politician. Creating employment opportunities is also on his agenda and that can only be done by creating entrepreneurship opportunities. 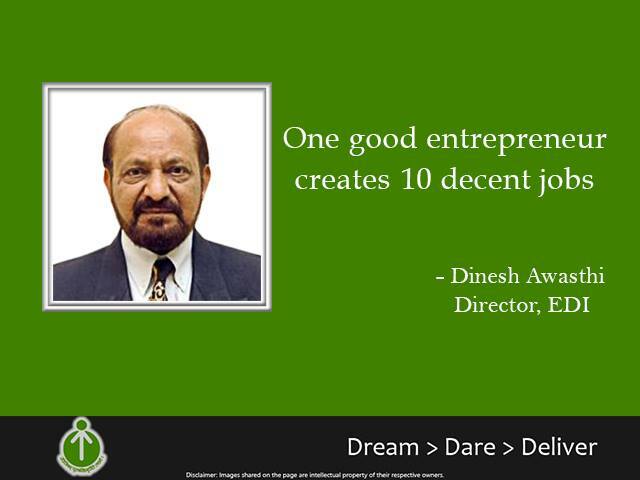 One good entrepreneur creates 10 decent jobs and hence it is in the interest of the government to promote entrepreneurship in a big way.